One of the bright spots in my stressful day on Friday was the arrival of a very sweet gift from Jess. I adore this hat and am looking forward to seeing our little tomato in it. Beautiful stitching, Jess! Thank you so much! oh my gracious! that is the cutest stinkin thing EVER! I LOVE IT! What a thoughtful gift. Miles will look so precious in this hat. I love the name you picked too! 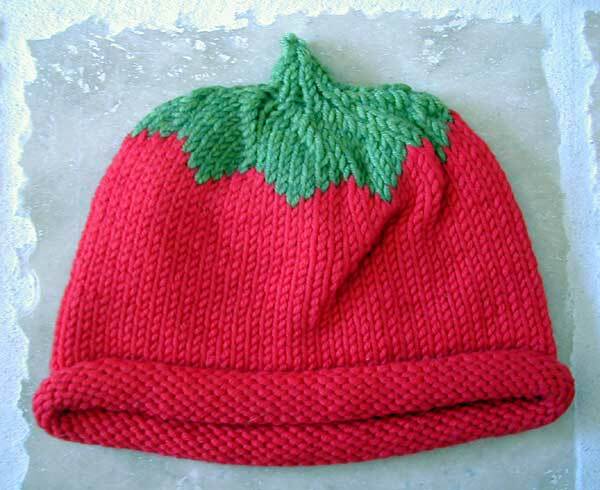 The perfect cute hat for your little tomato! I can’t wait to see the picture of your babyboy wearing it!!! ok, where can one find the pattern for the tomato hat? it is THE most adorable thing i have seen in a long while! You should check out the tomato hat video. It’s adorable.